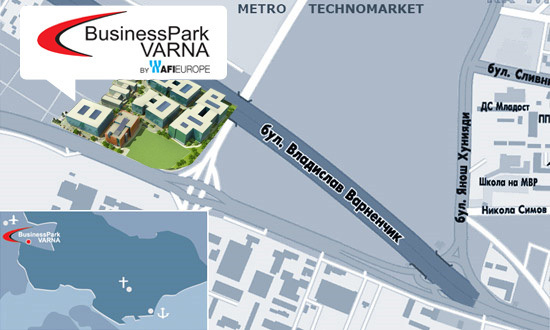 Business Park Varna is located on an area of 67,430 square meters at the entrance of the city. It is directly accessible from Hemus highway and Zapadna obikolna (West Roundabout Street). This unique location allows you to get to the central part of Varna or to Varna Airport within 5-7 minutes.